Funeral Mass will be held on March 23, 2019 at 11 a.m. at Our Lady on the River Parish St. Mark Catholic Church, 4190 Green Drive, Harsens Island, MI, 48028. The Burial/Rite of Committal will be held on Monday, March 25, 2019 at 10 a.m. at Holy Sepulchre Cemetery, 25800 W. 10 Mile Rd., Southﬁeld, MI 48033. 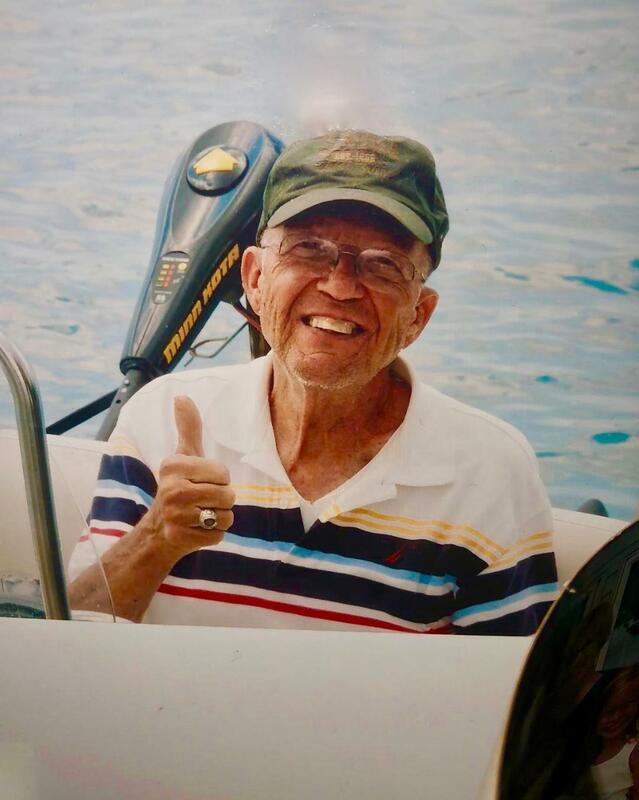 John J. Nagy, age 80, of Harsens Island, MI and formerly of Livonia, MI, died peacefully on January 20, 2019 in his home. He was born December 9th, 1938 in Milwaukee, WI to the late Agnes Julia Nagy (nee Macejkovic) and John Nagy Sr. He married Mary Elizabeth Kelly Nagy on August 20th, 1965 in Pinckney, MI. John attended the University of Wisconsin and graduated with a degree in Landscape Architecture. He then attended the University of Michigan where he earned a prestigious teaching fellowship and graduated with a master’s degree in Urban Planning. John was an active member of the Theta Chi fraternity at both universities. Upon graduation John worked for architectural ﬁrms in Denver, CO and Toronto, Canada. After completing work on Montreal’s Expo 67 John and his wife moved back to Michigan where he accepted a position with the City of Livonia as its Planning Director. He held this position for 30 years and served as the Director of Economic Development and the Director of the Planning Commission while in this role. After retiring from the City of Livonia, John assumed the role of Plymouth Road Development Authority Director. Later, John opened a Landscape Architecture and Urban Planning practice. John had a passion for community service and conservation, as well as a strong commitment to the welfare of his many friends and family. John was a founding committee member of the Livonia Spree where he volunteered for 30 years. He was also a founding committee member of the Western Wayne Chapter of Ducks Unlimited where he helped to raise signiﬁcant funding to secure wetland habitat. The Constantine Del Signore (CDS) Foundation was one of John’s last volunteer roles where he served on the board and helped to raise money for a variety of causes in the name of his dear friend. John also served on many other boards and committees supporting Livonia’s many academic and social endeavors. Also worth noting is John’s support of the University of Michigan Alumni Association and the Wisconsin Alumni Association. John loved the outdoors. He was a passionate and lifelong duck hunter and ﬁsherman. He was an exceptional golfer, enthusiastic boater and dedicated gardener and landscape designer. 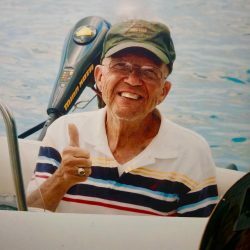 He joyfully engaged in many woodworking and home improvement projects not only for himself but for family and friends, as well. He was well known for his clever inventions relating to his professional work and pastimes. Most important to John, however, were his family and friends where he was a selﬂess devotee to their needs and wants. John had a strong faith in God and exempliﬁed the servant mindset. Mr. Nagy is survived by daughters Marlana K. (William) Witt from San Diego, CA and Regina E. (Daniel) Nagy-Steinert from Seattle, WA, grandchildren Caroline Witt, Gibson Steinert and Camden Steinert and his sisters Agnes Kleinschmidt and Anita Nagy from Oconomowoc, WI. John’s family is extremely grateful for the wonderful care he and his beautiful wife Mary received in their ﬁnal years. This care was delivered expertly and compassionately by an exceptional group of healthcare professionals who not only served as nurses and aides but as friends. John’s family is also thankful for the many friends and neighbors both on and oﬀ Harsens Island who were steadfast in their commitment to visit and check in on John and Mary regularly.